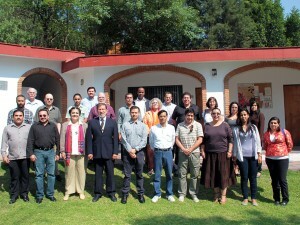 http://www.santacruzpumas.org/research/ click here The Mexico City Declaration adopted at the Group on Earth Observations (GEO) Ministerial Summit in November 2015 promises a dynamic Earth observation (EO) agenda for the next four years. order now Approved by consensus, this brief, two-page document highlights a number of top political priorities for the use and development of Earth observation technology. Among these, international data sharing, climate monitoring, and support for the 2030 Development agenda all were mentioned at least twice. buy now The Ministers led off their declaration with the need for data sharing stating, “full and open access to Earth observation data, information and knowledge is crucial for humanity,” and later reaf rmed their support for GEO’s Data Sharing Principles, which are still undergoing re nement. They also took time to recognize what they felt were positive developments in the broader international sharing of data by wel- coming “the global efforts to improve data availability for developing countries such as through the European Union’s Copernicus Programme, the China-Brazil Earth Resources Satellite, and the (U.S.) Shuttle Radar Topography Mission.” The tone of debate and discussion prior to the adoption of the declaration made it clear that its emphasis on data sharing was broadly supported by both national representatives and participating organizations. The role of GEO and the Earth observation systems it is tasked with knitting into a Global Earth Observation System of Systems (GEOSS) in addressing climate change was also a frequent topic of comment from the oor of both the Ministerial Summit and the GEO Plenary Session that preceded it. 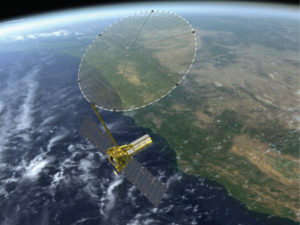 Strong sup- port was voiced for increasing the monitoring of climate-related data and expanding research into ways space-based assets could expand our knowledge of factors impacting climate change. Such sentiment was well supported in the text of the declaration with the United Nations Framework Convention on Climate Change highlighted among a small number of institutions singled out for focused support from the GEO community. The declaration also emphasized the importance of EO-facilitated climate projections for development planners in the world’s less developed countries. community and in the development of applications that can improve the human condition. Here they cited regional initiatives like AfriGEOSS, AmeriGEOSS and GEOSS Asia Pacific as positive developments. Other important priorities emerging from the GEO meetings in Mexico City include the growing interest in partnerships with private sector initiatives, the rst admission of international organizations as participating organizations, the adoption of a new strategic plan, and a growing focus on the needs of users of GEO’s data and information output. In addition to the call for public–private partnerships that has been heard at GEO meetings for some time, the November 2015 sessions heard several calls for including private, for-profit institutions in the eligibility list for election as participating organizations. Although this proposal, advanced by U.S. GEO Principal, Kathy Sullivan, Administrator of NOAA,was not adopted, Dr. Sullivan was encouraged to develop the pro- posal further and bring it back at the next plenary session. Importantly, hers was not the only voice raised in support of the idea, which nonetheless was also met by some skepticism and concern from delegates who worried that for-profit missions might con ict with GEO’s humanitarian or development objectives. This is certainly a debate worth following as it resumes in the next plenary scheduled for November 2016. One very important development was the declaration’s call for improved integration of GEO’s efforts with those of the economic development banks. A clear message that this idea was broadly accepted by the GEO community was delivered when the World Bank was admitted as a participating organization during the plenary session. The World Bank has been receptive for some time to the use of Earth observation imagery to evaluate geophysical aspects of its funded projects and its new role as a participating organization in GEO resonates well with the increased focus on the needs of data users. This latter theme received considerable support both from discussions at the plenary and from the Ministerial Summit. 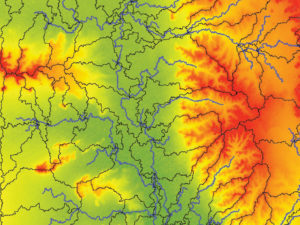 After ten successful years of developing protocols, systems, and data gathering technologies during GEO’s first decade, it is clear that the needs of those using and seeking to use Earth observation data will get increased attention during the second decade. This will not mean abandoning the need for continued technological development and scientific research, however. With 102 member countries and 92 participating organizations, GEO has grown substantially larger in the 12 years since its creation. It is at least as important to see that it has also grown in breadth, capacity and utility in that time. As is evident from the Mexico City Declaration, GEO and the GEOSS it is working to develop have become important decision-making tools for political leaders and workers in the field alike. How well GEO manages the substantial responsibility that comes with this evolution will depend in part on how well providers and users of data build ever stronger habits of communication and synergy in the years to come. The next plenary session of GEO is scheduled for Saint Petersburg, Russia in November of this year. The Mexico City Declaration and other documents from the last plenary and Ministerial Summit are available on the GEO website at https://www.earthobservations.org/geo12.php.